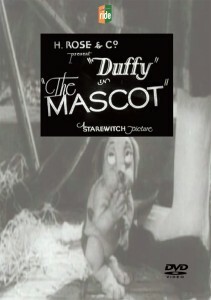 “The Mascot” is a silent stop-animated film made by Ladislav Starewitch in France in 1930. A heartwarming adventure story, the “mascot” is a stuffed dog who leaves home in search of something to help the sick daughter of the woman who made him. Along the way, he interacts with fantastical creatures, demons, musicians, and live-action humans in his quest to bring an orange back to the little girl. The other-worldly designs and crazy characters make this a classic silent, with an imagination on the level of today’s masters. Joel Forrester has recorded an original soundtrack, based on his live performances accompanying the film.